FIFA 06 was the thirteenth game in the FIFA series and the tenth in 3D. Originally released as 'FIFA 2006'. At the time it was the highest selling game of the FIFA series, ahead of its predecessor FIFA 2005 by over 100,000 copies.In total, FIFA 06 has sold more than 3.6 million copies. 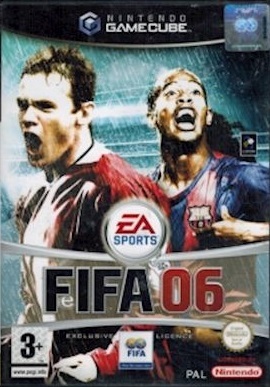 Ronaldinho and Wayne Rooney graced the cover of the game in the European, Australian, Brazilian, and United Kingdom market. Freddy Adu, Ronaldinho, and Omar Bravo were on the North American cover, while Lukas Podolski was partnered with Ronaldinho on the German edition of the game and Park Chu-Young was on the South Korea cover.